We are busy at home getting our living room updated and whilst the workmen were hammering and banging I retreated to my craft room for some sanctuary. 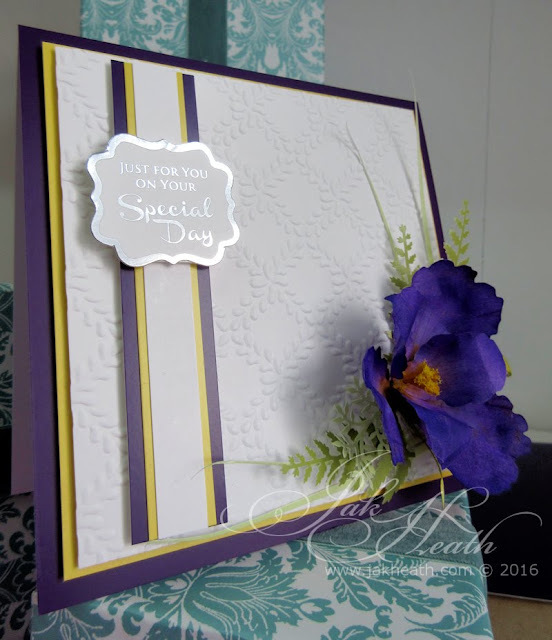 I cut out a few shapes and started with my Bearded Iris, hard to believe that this flower started life as white copy paper. 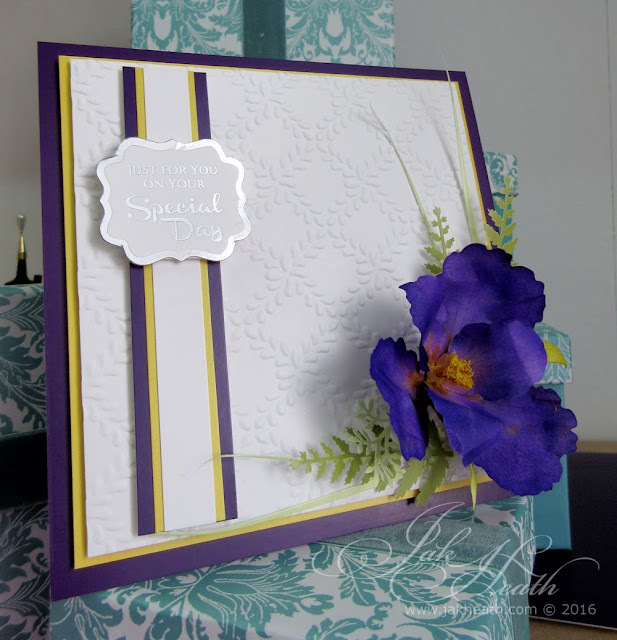 I used the Sizzix Bearded Iris dies to cut the shapes. I used Hunkydory Adorable Scorable for all of the matting and layering and all of the foliage and some of my floral craft leaf punches, as you can see the Adorable Scorable embosses beautifully with embossing folders. 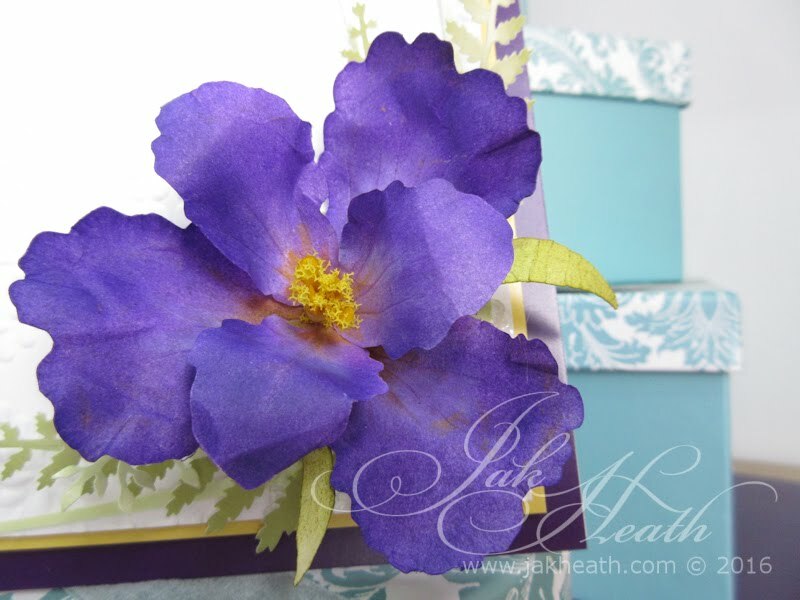 I first coloured the copy paper petals and leaves with ink from my inkpads and then used pan pastels for the shading. I used a ball tool and a scoring tool to shape and add lines to the petals. 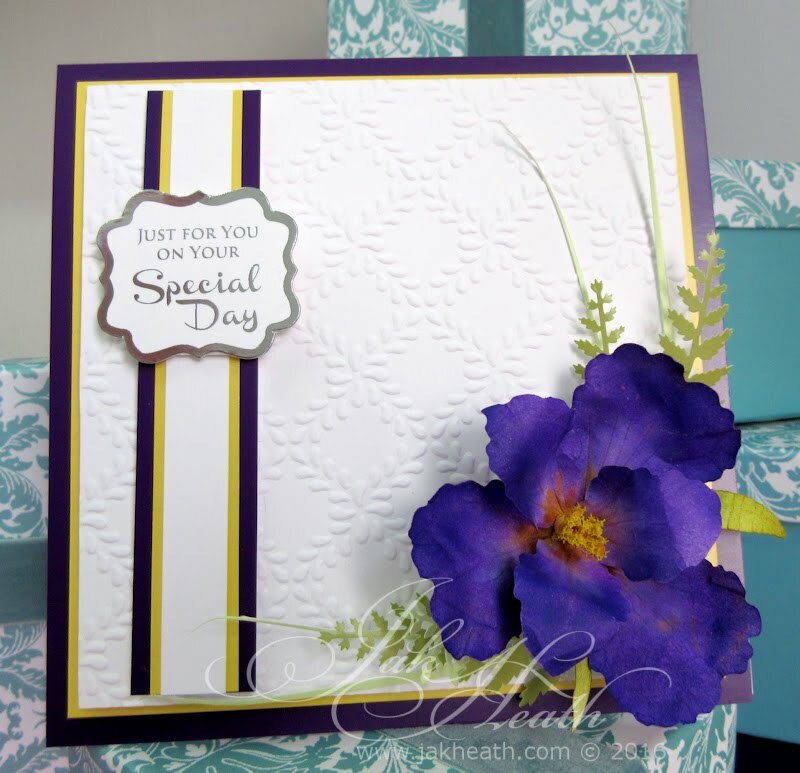 The center stamen of the flower after inking yellow was dipped in glue and dipped into some flowersoft. All in all a lovely morning well spent. I did make another card so hopefully I’ll get that one wrote up soon. This is beautiful, Jak. Your iris looks amazing! Absolut gorgeous work here again Jak, as is everything you ever do. Always such a plkeasure to see your fabulous work hun, and I just love flowers and this one is truly amazing work. Looking forward to see your "new" updated livingroom, when it´s all finished, it´s just such a wonderful joy, when we get things like this done and finished. wow, gorgeous. I read the whole thing. I thought you might have used brusho for the centers. 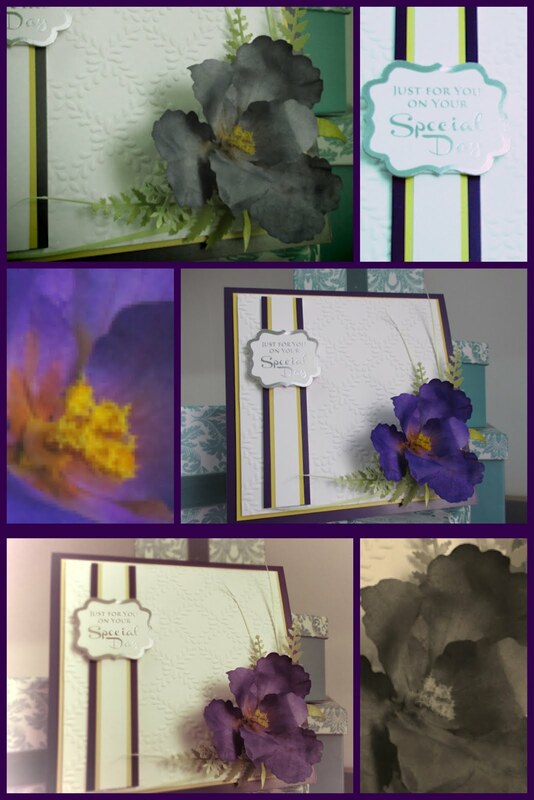 great card and flower. Oh Wow! What can I say!It's gorgeous! You have such talent!